Pirates were one of the most influential groups in history, and the Golden Age of Piracy lasted from 1650 to 1730. They came from all walks of life and fashioned their own style. You could call them some of the original Don Juan’s, and their spirit was alive and well at this year’s Ye Scalleywag! in San Diego. We pride ourselves on our craftsmanship, but we know when it comes to passion for a craft, we don’t stand alone. Ye Scallywag! 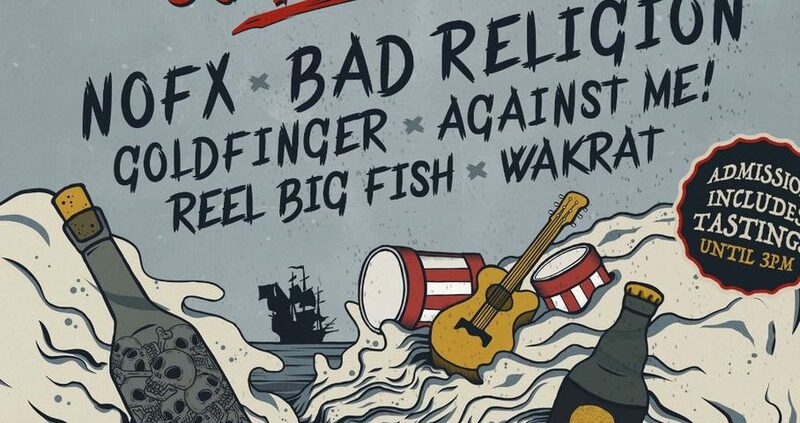 San Diego mixed music and craft beer with more than 100 breweries and wineries backed by legends of the punk music scene that included NOFX and Bad Religion. Nothing puts hair to the test like head-banging a razor-thin Mohawk. Punk rock has been testing the boundaries of music and destroying the boundaries of style since the Ramones played their first show in 1974. Don Juan isn’t defined by a look, because a Don Juan man makes their own style. That’s why bringing our products to Ye Scalleywag! made so much sense. Surrounded by fellow artisans who’d tested and honed some of the best beer in the world while listening to Punk rock—who says work can’t be fun? We got to hang with the trend-stomping San Diego punk and beer scene, whose hair regularly defies gravity. The rock n’ roll lifestyle can be a messy one for fans and performers. Keeping skin clear, a beard healthy, and a scalp that stays put is a thousand times harder when you’re jumping up and down in a throng of 1,000 fans. It’s a different pace in San Diego. The weather is warmer, the blood pumps hotter, and hair that listens in a cooler climate doesn’t want to stay put. We challenged attendees to put our men’s grooming products to the test all day. A lot of interest, sales, photos, and single product testers stepped forward, but not one true challenger yet. An hour in and we took a lull in the music to shout, “Put Don Juan to the test!” That’s when one man stepped forward, smiled, and took a long pull off an ice cold brew. He started with our Don Juan Beard Wash & Sailor Bead Oil. Though his beard was scraggly and wild like he’d just come back from months at sea, our wash rid it of grime, sweat, and stale beer while our oil polished it to a healthy shine. He claimed his hair was too long. That nothing could keep it in shape, so we offered him a Style Never Dies Comb to put our strongest pomade yet to the test. The jar of Diamond Limited Edition Pomade Strong Hold glistened has he opened it. Working it into his hair he formed a Mohawk like a shark’s fun. It was unmistakable, and tall enough that we could track him from the booth. One mosh pit, two bands, and three hours later he returned. We saw him coming before he arrived. Just like we’d said, our strongest hold had held firm. The Don Juan Mohawk was born.